Rendering of the Nash Square hotel. (AAD-4-19) Click for larger. The hotel planned for the southeast corner of Martin and Dawson is working its way through the approval process. 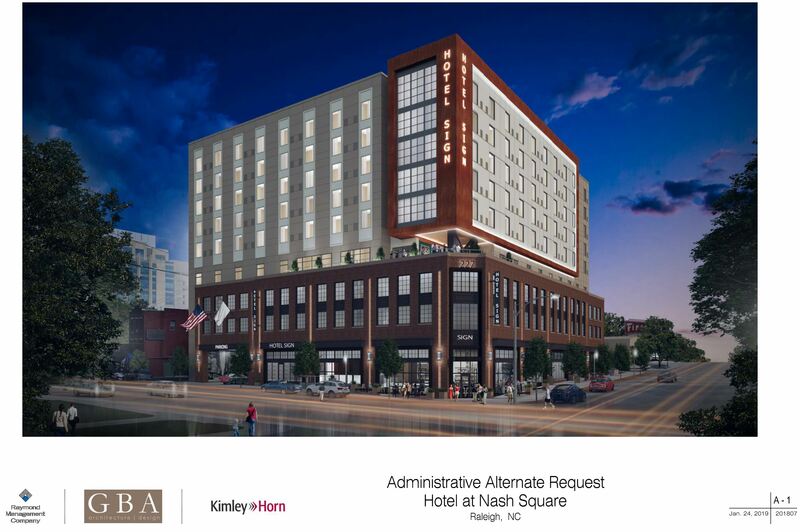 Posted to the city’s website is an Administrative Alternative Request, see AAD-4-19, which shows a nice rendering of the hotel. The request shows off the setbacks planned above the third floor and suggests some outdoor terrace, possibly for a restaurant or lounge. Dive in to the request for more details.